Matthew Jordan can take an average day out of his life and tell it in such a way that you'll what to hear more. Funny, witty and the way he uses that fantastic voice is almost a crime. 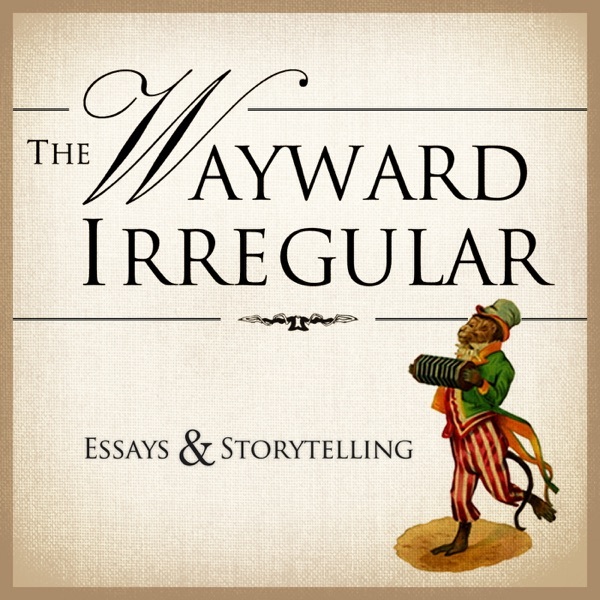 The Wayward Irregular podcast is just that, wayward, irregular, and one of the most faccinating and enertaining podcasts I've ever happily stumbled upon. To me this podcast is Matthew D. Jordan's way of letting us in on his crazy mind speak and giving us a glimpse of his world view through clever humor and resounding relation..or lack of. I highly reccomend it, but go slowly through the archive, there isn't a lot and he doesnt update extremely often which is my only complaint. Enjoy! Thanks so much for doing these! They are wonderful! So glad I found you. I don't miss an episode. This is an awesome podcast. If you manage to read through the story to get the point, you might actually learn a lot from this guy. I really can't get enough of this! At first I thought this guy was alittle wierd, but now I can't stop listening. The Edward episodes are just like my last job. HAHA! You find yourself relating to every story even if some of the synonyms are alittle much. Thank you for your intelligent and hilarious diatribes. Love this, and missed it. Great podcast and definitely worth listening to! This guy is HYSTERICAL! I wish he's start publishing again, though...I've run out of archives! Matthew D. Jordan trys too hard to be funny and comical. He trys to sound like William Shatner in his deliverances. He is alwasys on "Joke Time" to the point where you really don't hear the lessons he is trying to teach. Before I wrote this review I looked at other reviews and realize that this is a comedy and not a business podcast. I really don't know what it is but one think I do know is I am unsubscribing. If you are a web designer or are even interested in web design, then you need to subscribe to this podcast. This is one of the funnies podcasts I have listened to and it is definitely one of the best web design podcasts out there. This as a hilarious twist on webdesign. The first is real good and then i listen to the latest and it is funny, weird but funny. Tries VERY VERY hard to be funny and succeeds some of the time. There are some good tips in there but it just sounds so forced and the podcast is exhausting to listen to. Matthew got me hooked after one episode. Keep this up. You're very good at what you're doing. I listened to 3 of the episodes before I made the decision to unsubscribe. I think the author is attempting to sound like an info-commercial from the 50s, which is a fun approach. But...I found most of the information a rehash of Business 101. The dialog and narration became irritating. Didn't provide new insight or real-life help that I can apply to my freelance web business. YSAWD is a great "straight-shooter" podcast. It's waaaaaaay explicit and gets into the sticky parts of being an independent designer, especially if you use honey as lube. Very original, entertaining, educational, intelligent and inspirational. Has a stream-of-conciousness feel, but you can tell that Matthew D. Jordan must put a lot of thought and care into his writing. Terrific! A brilliant writer and hotter than fresh baked muffins.